I thought I would all update you on my whereabouts, but it is safe to say I haven't been unwell or anything. Just very, very busy! That time has passed now, and the break has done me some good! On Monday it was my birthday, I spent the whole weekend in Liverpool for my little sister's beauty pageant which was so tiring. I was in charge of her hair and make up, which I was pleased with. With all the hard work and it was my birthday, I treated myself to a new pair of Converse. 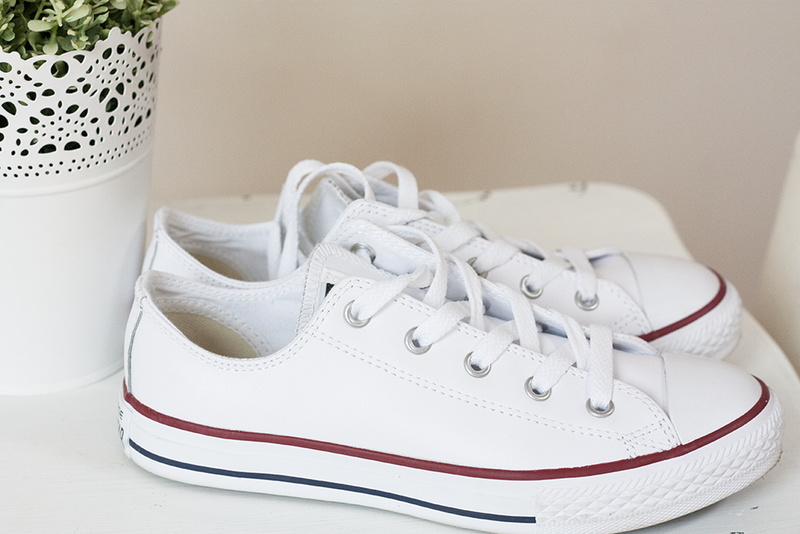 I live in these, I have a navy pair which I have kind of ruined, so I thought the white leather pair is a good choice, considering white goes with everything and these are easier to clean than the canvas. For the sizing, I am a size 2! Yes a 2, child feet! SO I got these cheaper, for £35 which I think is reasonable! 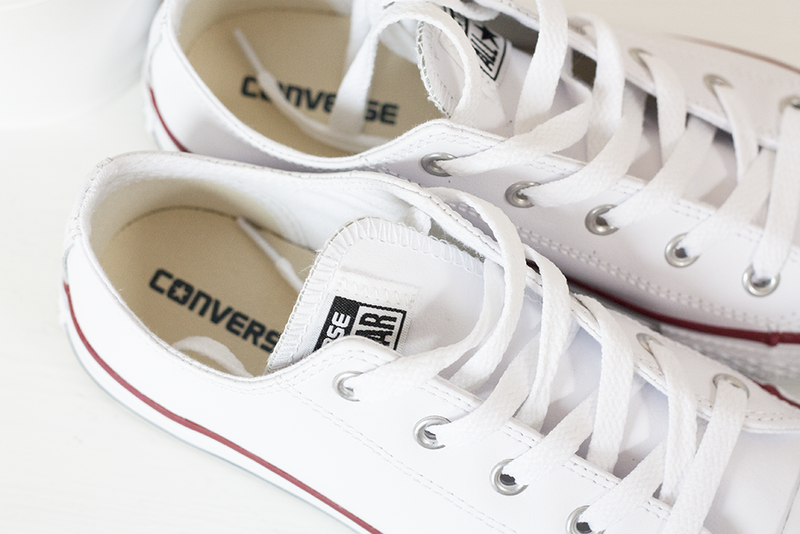 Do you own a pair of converse? 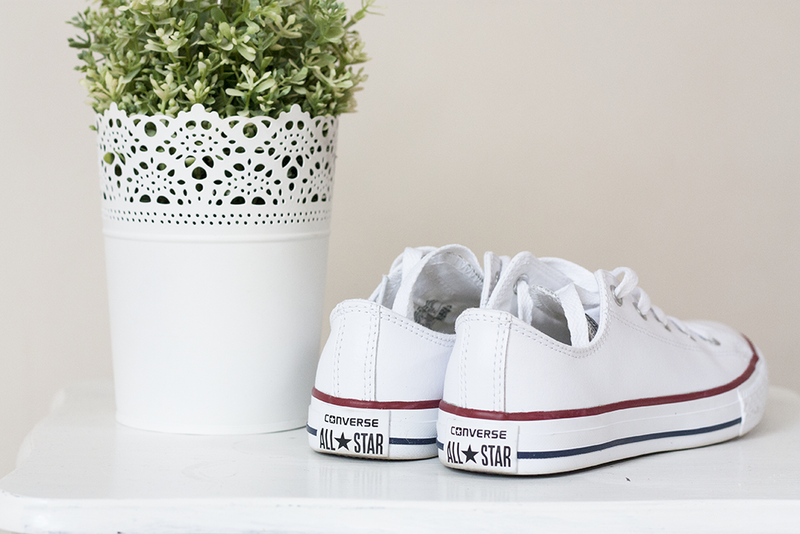 I've been wanting the white converse for ages now, I always get quite jealous of people with small feet because you can get shoes like converse for so much cheaper aha! 6 REASONS TO NOT SLEEP WITH YOUR MAKE UP ON.